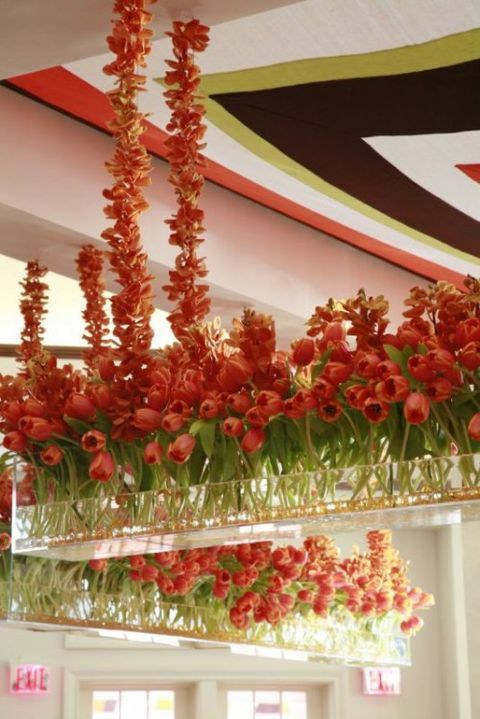 Flowers are the most traditional decoration for any wedding: centerpieces, garlands, backdrops and so on – they are everywhere. 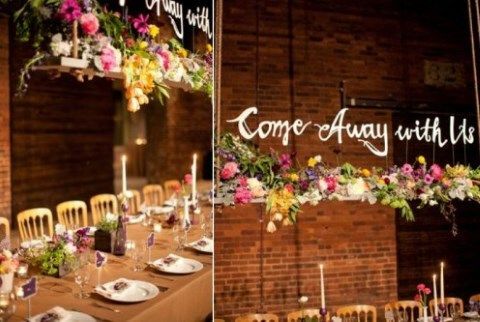 But what would you say to a more original way of decorating with them? 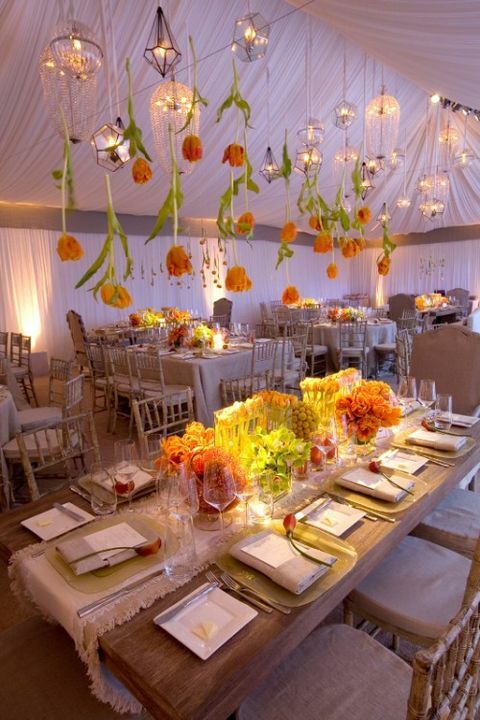 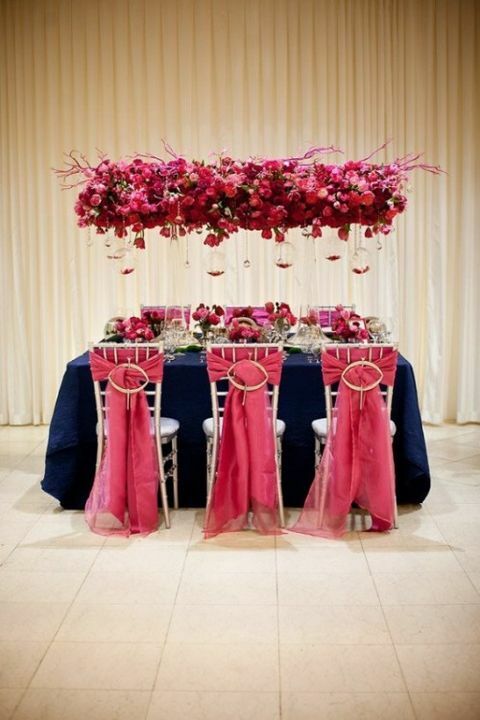 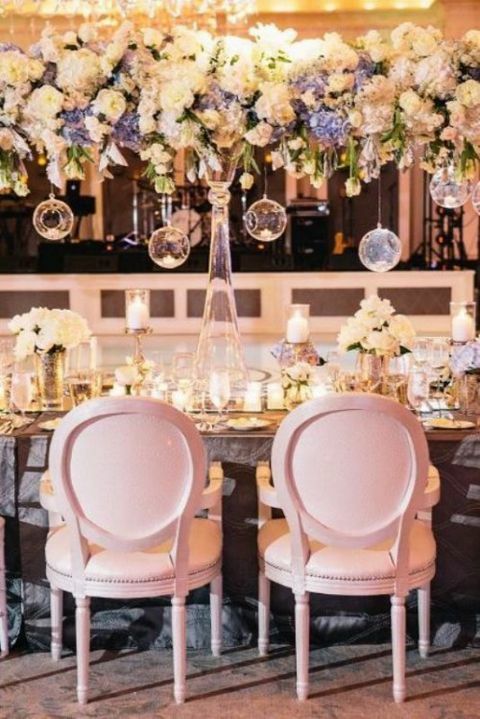 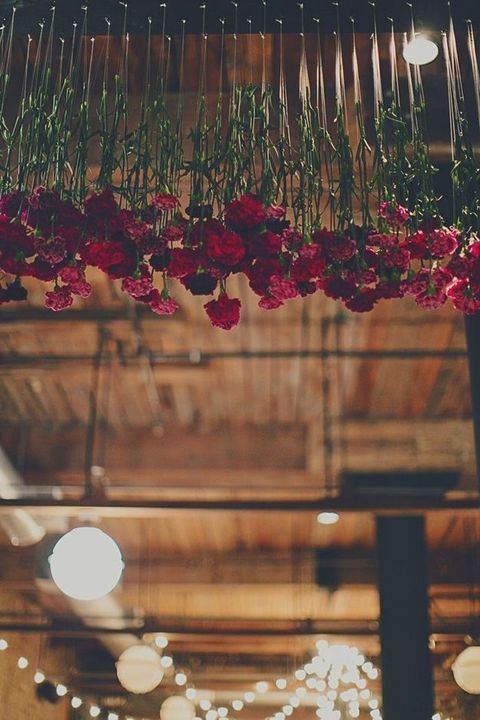 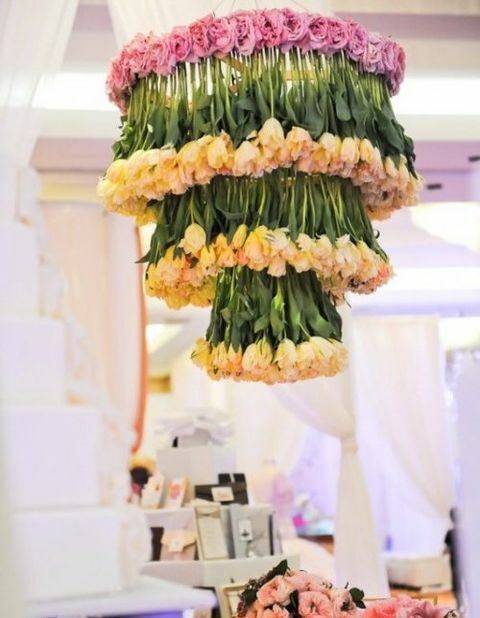 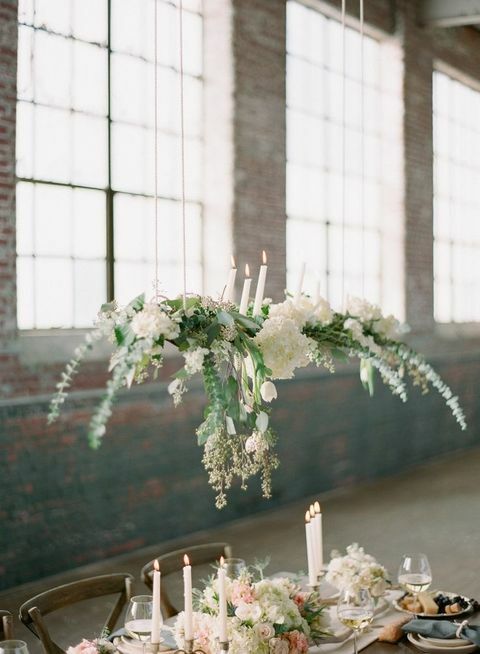 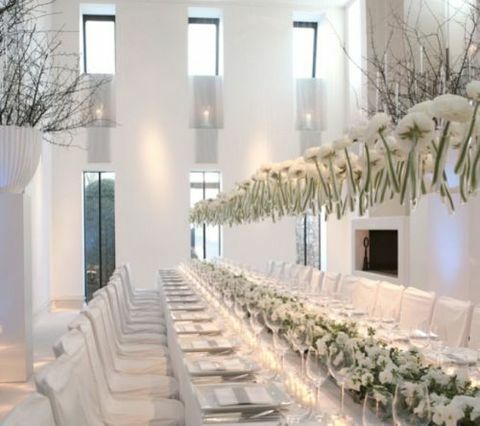 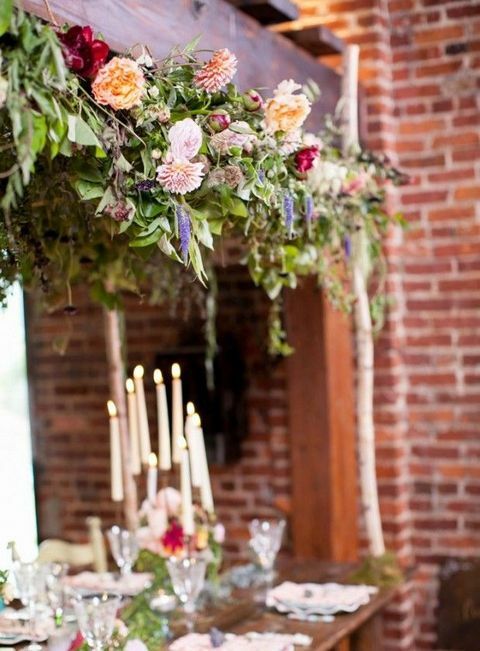 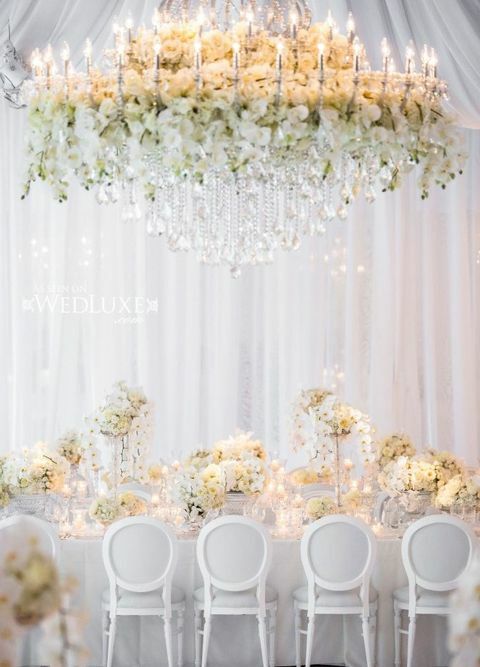 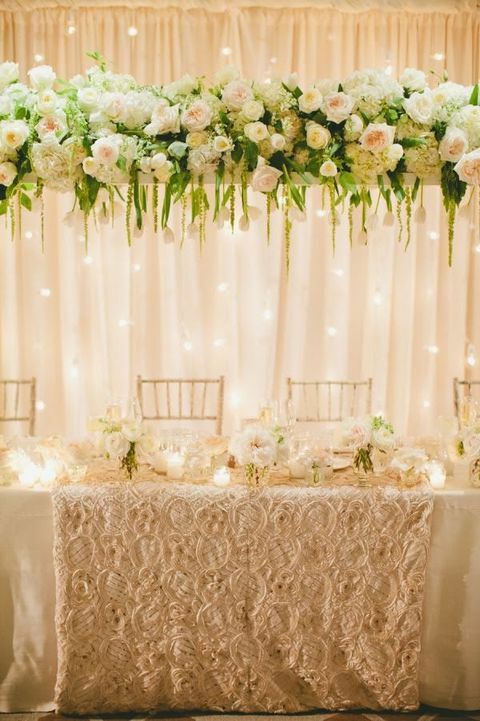 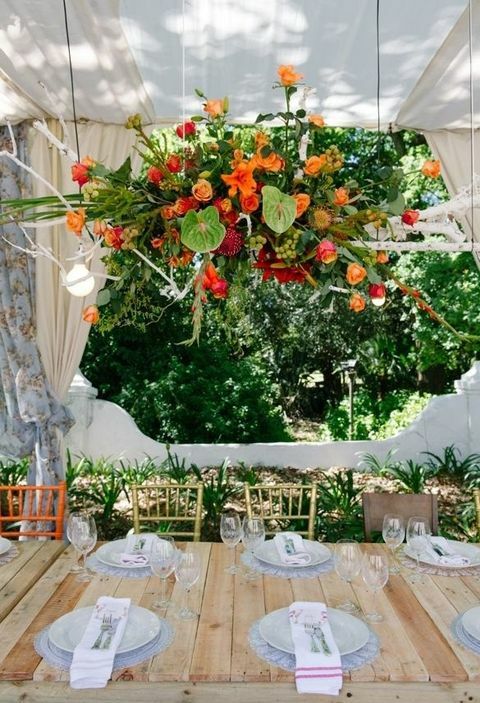 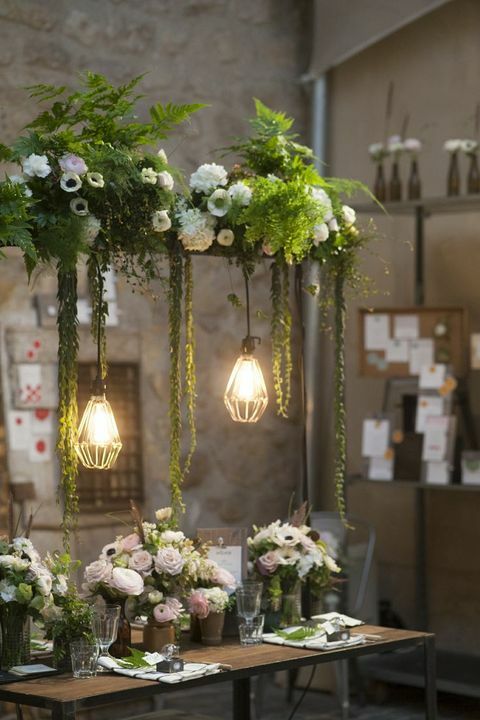 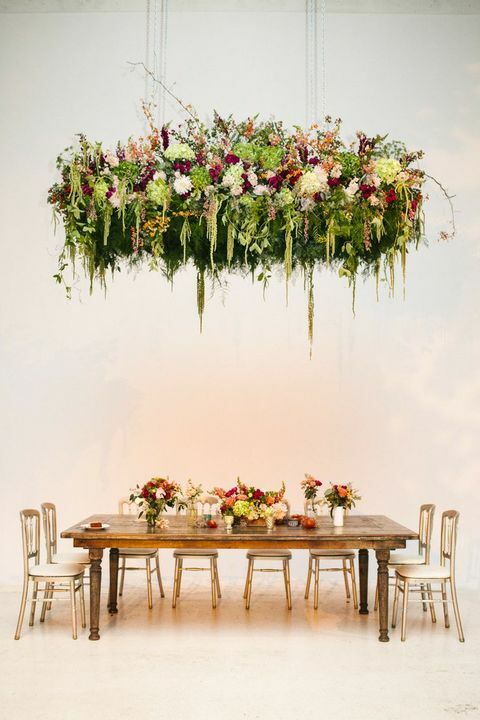 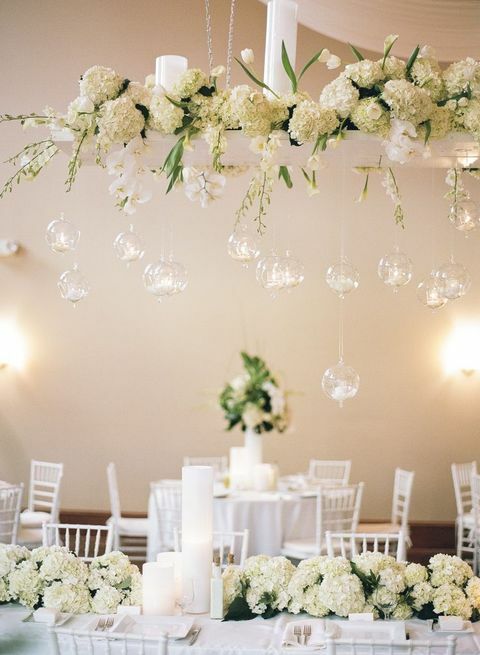 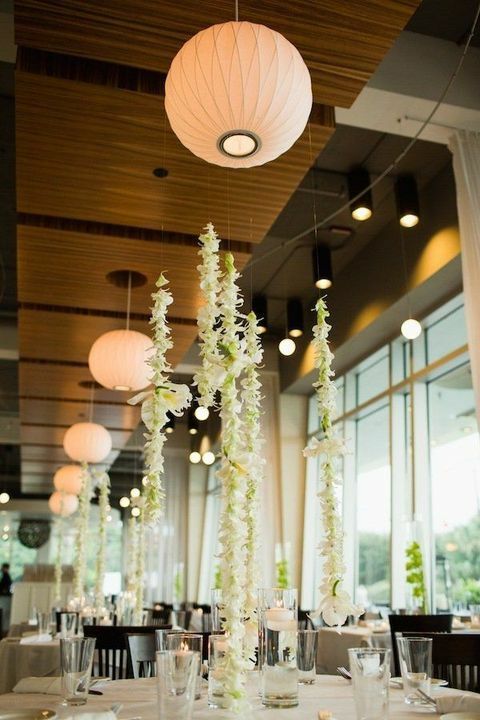 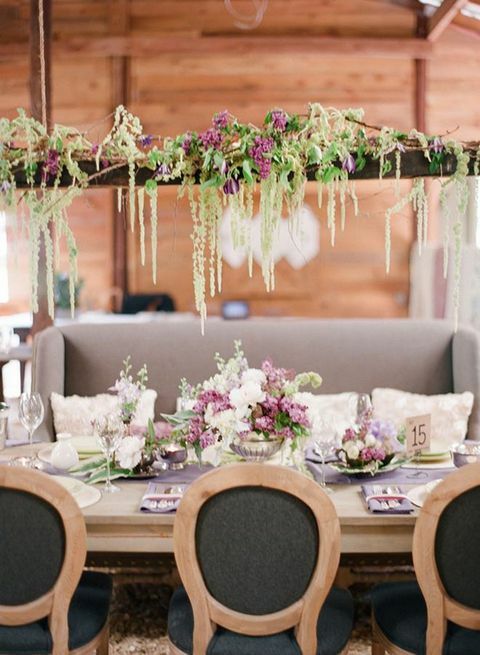 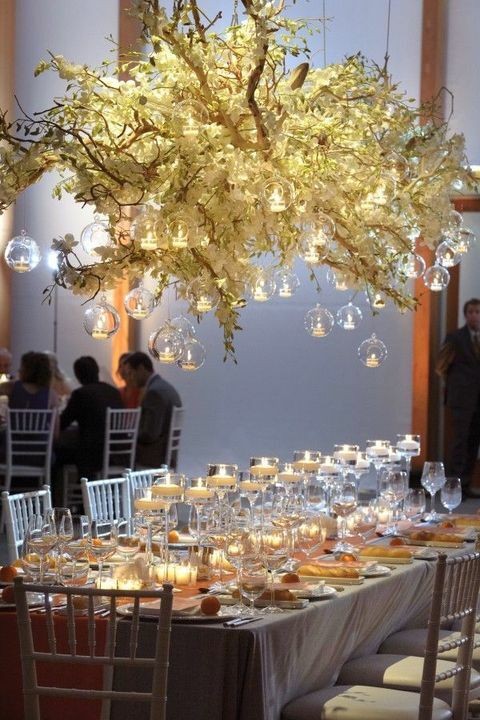 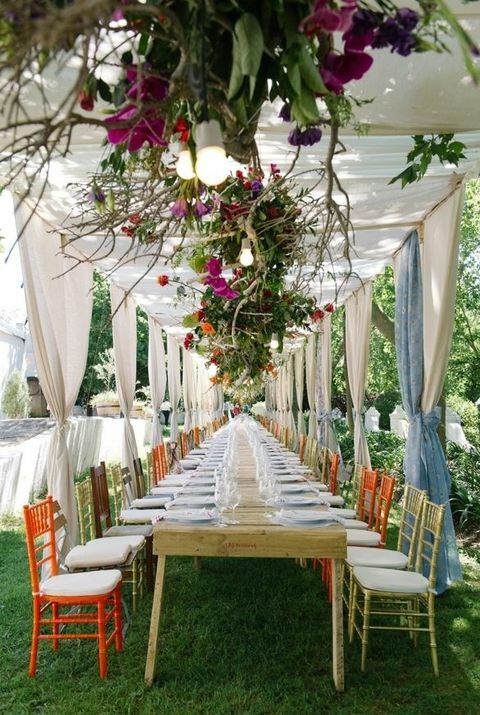 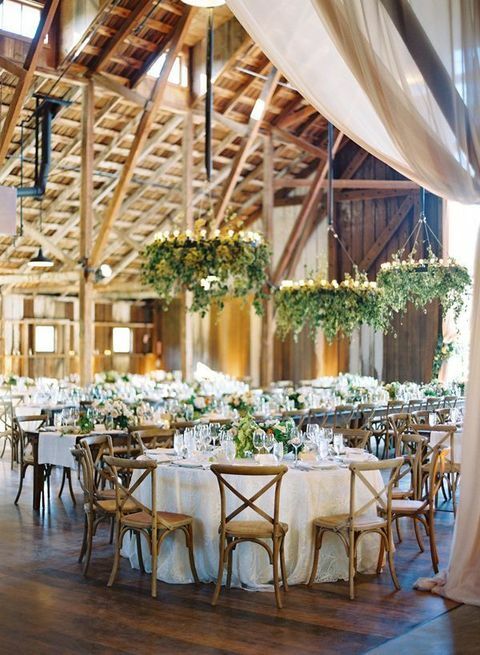 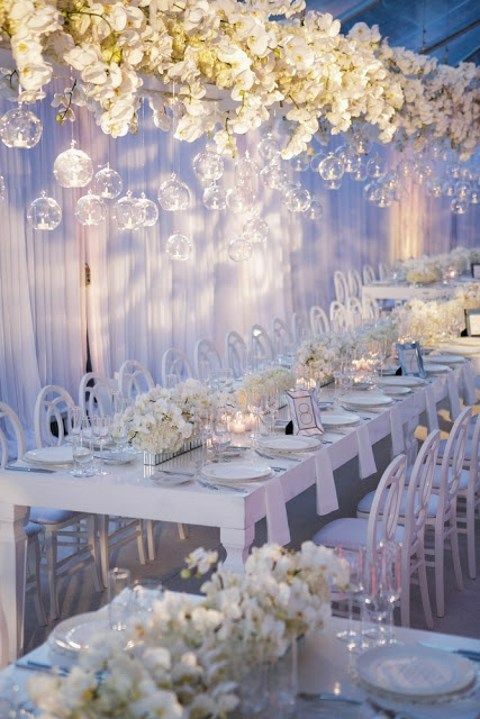 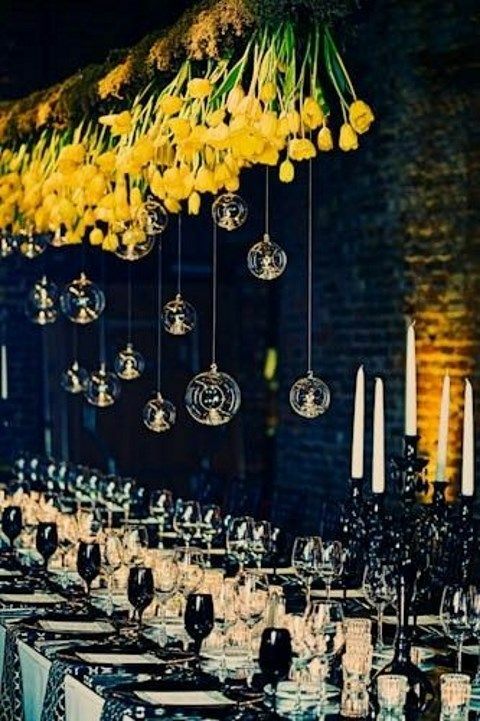 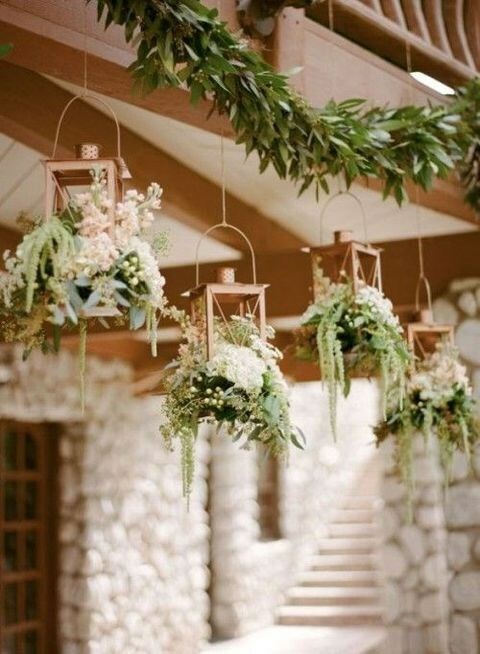 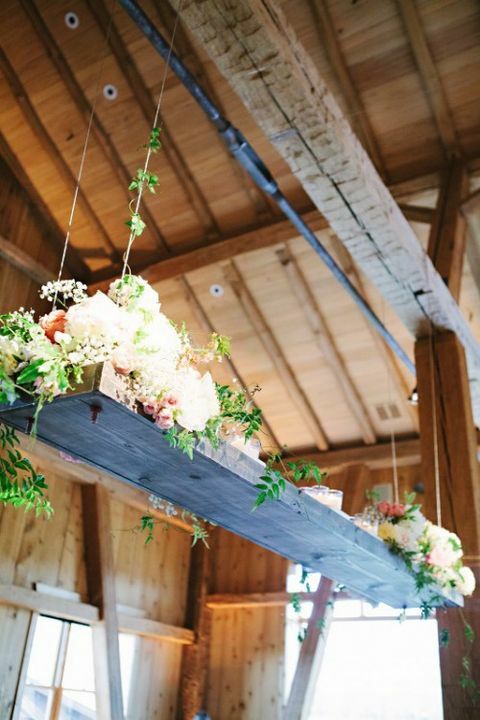 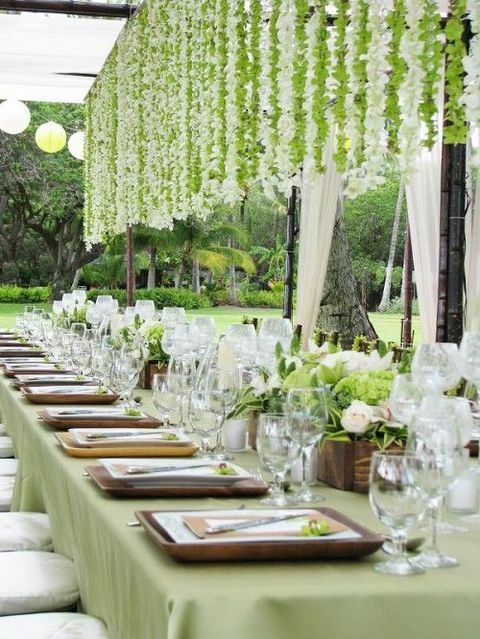 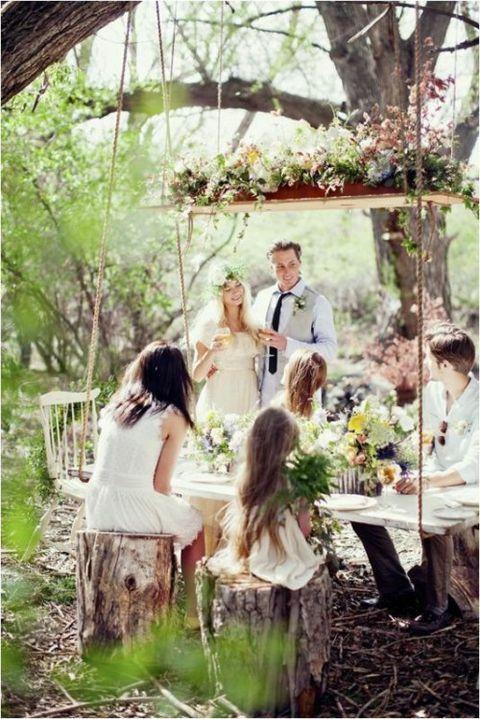 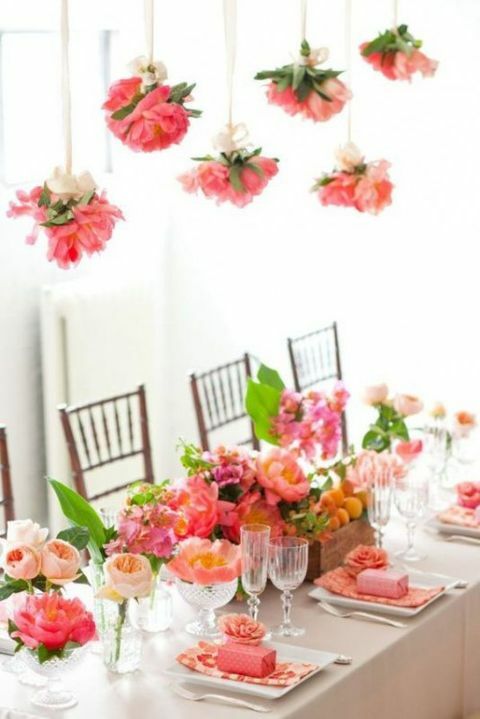 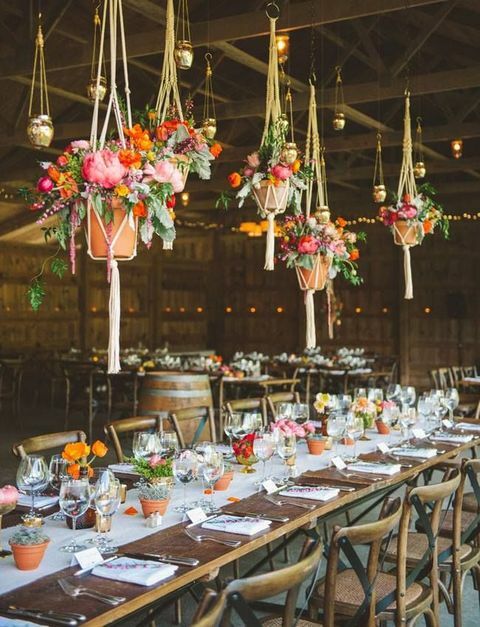 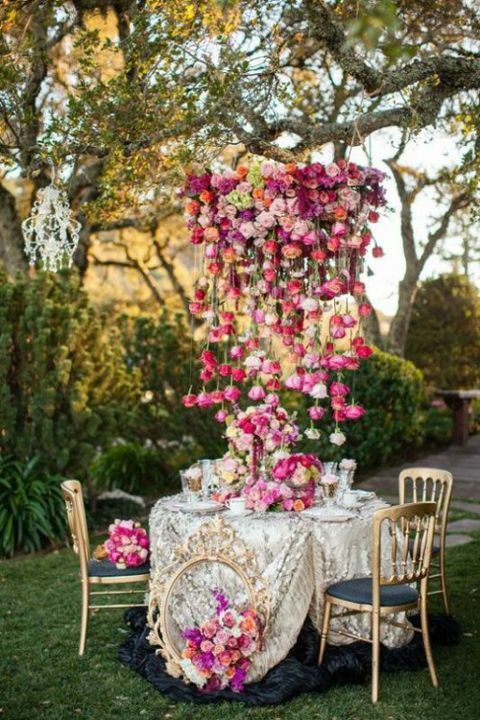 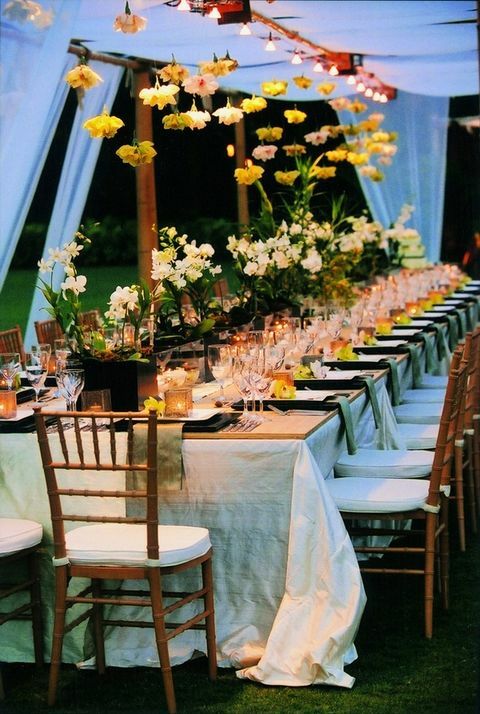 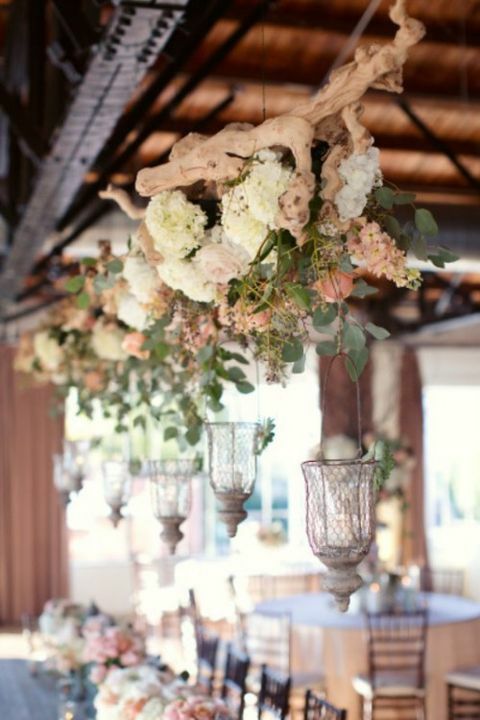 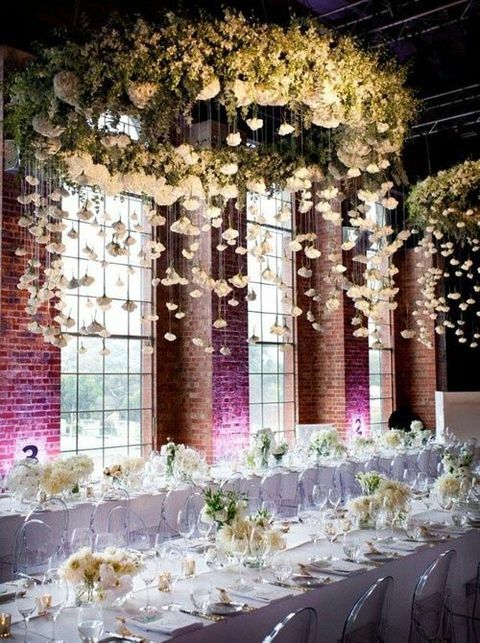 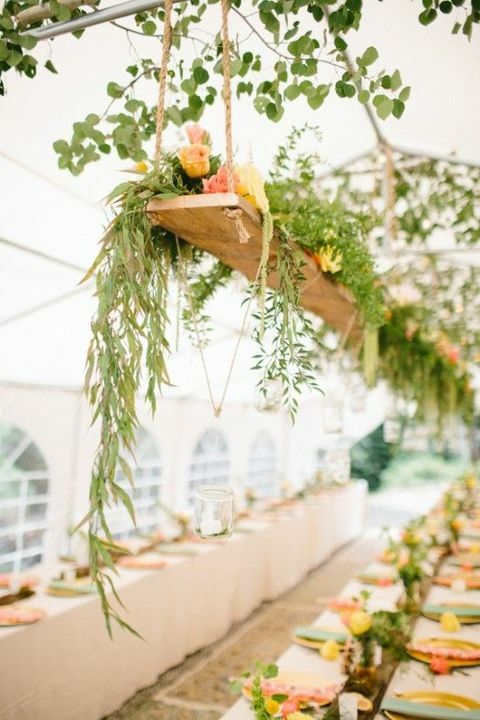 I’ve found an adorable idea: flowers hanging overhead your reception – isn’t that gorgeous? 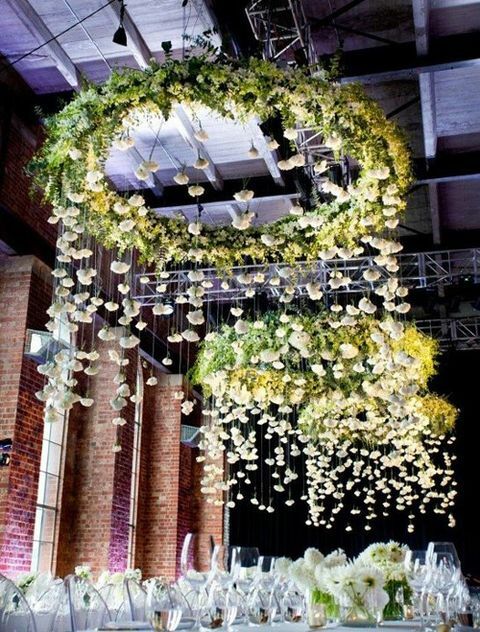 Such a decoration is actual for any season and wedding theme, especially for spring and summer wedding, it’s very eye-catching! 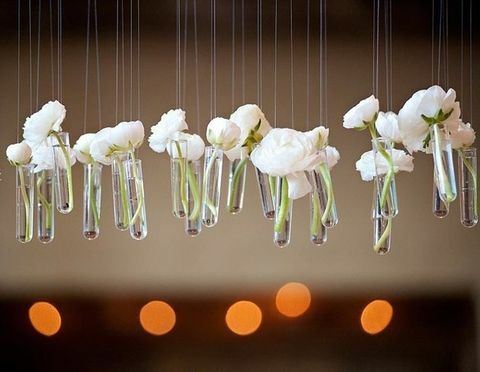 You can hang just flowers, flowers in vases (for them not to wither), flowers with greenery or driftwood – the possibilities are endless and depend only on your imagination and theme. 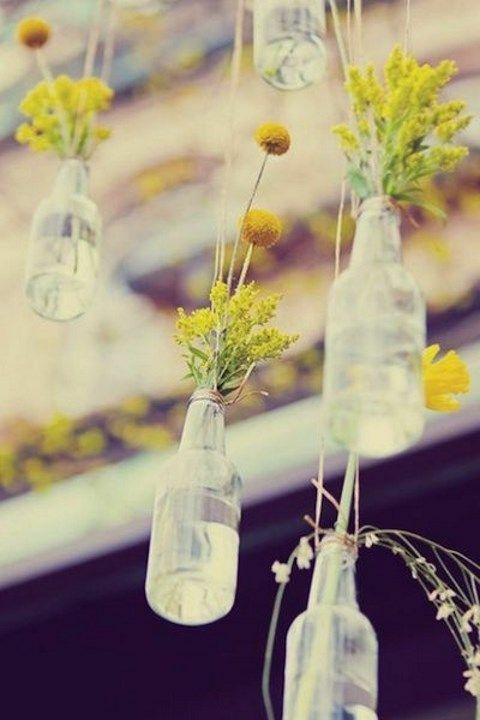 Get inspired by the ideas below and find your perfect décor!